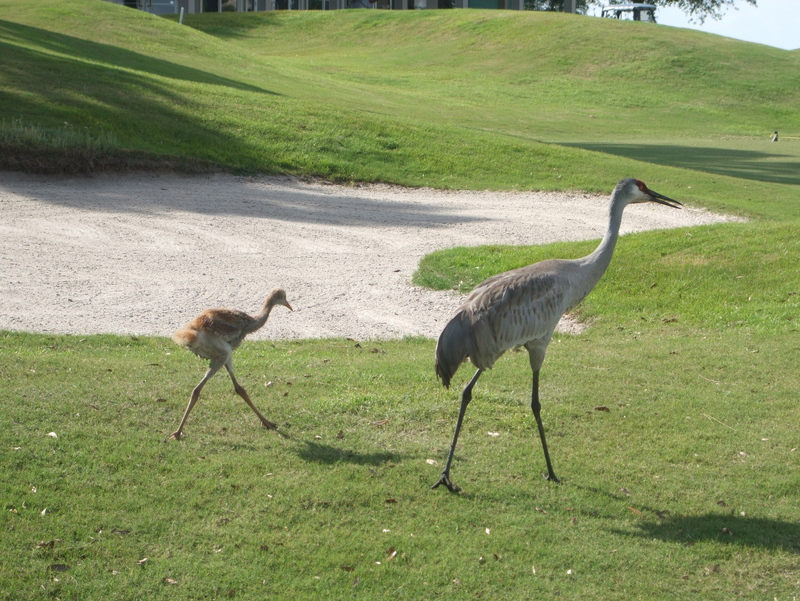 These birdies were more exciting than my golf game in Sebring, FL. I had to delay my shot to the green until the sandhill crane family sauntered across the fairway, blissfully unaware of how errant my five-wood can be. I’d never seen a baby sandhill, so I grabbed my camera. I’ve seen many adult sandhill cranes migrating north up the Mississippi River through Wisconsin and toward Canada. They’d fly in like waves of B-52 bombers, making their unique cranking racket, and settle on sandbars in the Wisconsin River where they roosted for the night. In the morning they become efficient alarm clocks as they take to the skies again. This little guy let me get within ten feet before he ran after Mom. They were completely unafraid of people–probably not a good thing. Does anyone know how old he might be or when he’ll be able to fly? He looks wingless and so ungainly. Wow! So cool to see mom and baby! Lucky you and terrific pics! Nothing like your photos, Phil, but thanks. 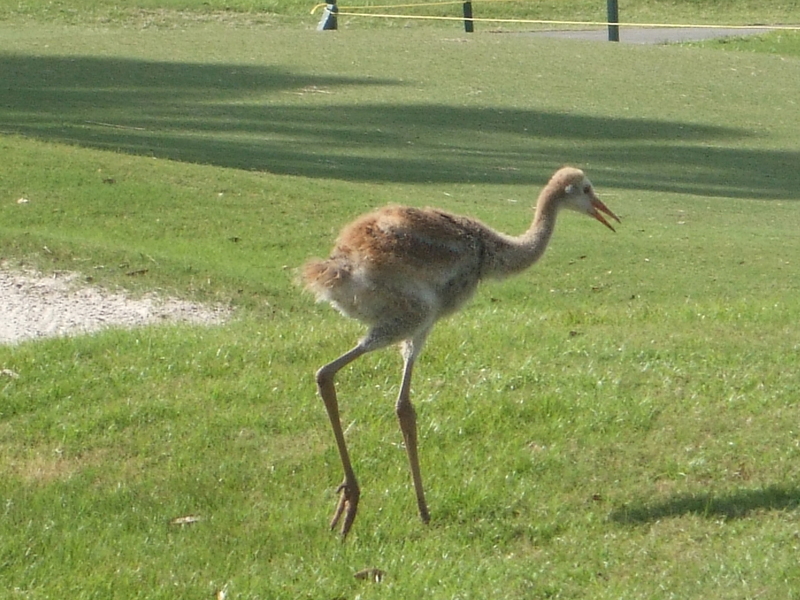 Sandhill Cranes learn to fly about 70 days after hatching.